Jamie Bartlett (born 9 July 1966) is a South African film, television and stage actor. 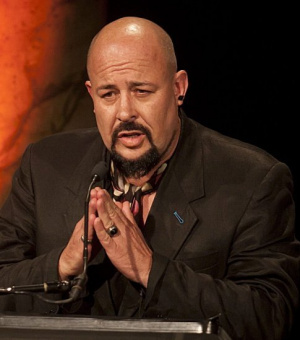 He portrayed the character of Mike O'Riley on the SABC 3 soap opera Isidingo, today he is widely known for portraying the villainous David Genaro on the e.tv soap opera Rhythm City. Jamie Bartlett has appeared on numerous films including Ernest Goes to Africa, Red Dust, Prey, White Lion, Mandela: Long Walk to Freedom and Nothing for Mahala. This page was last edited on 24 November 2018, at 21:57.